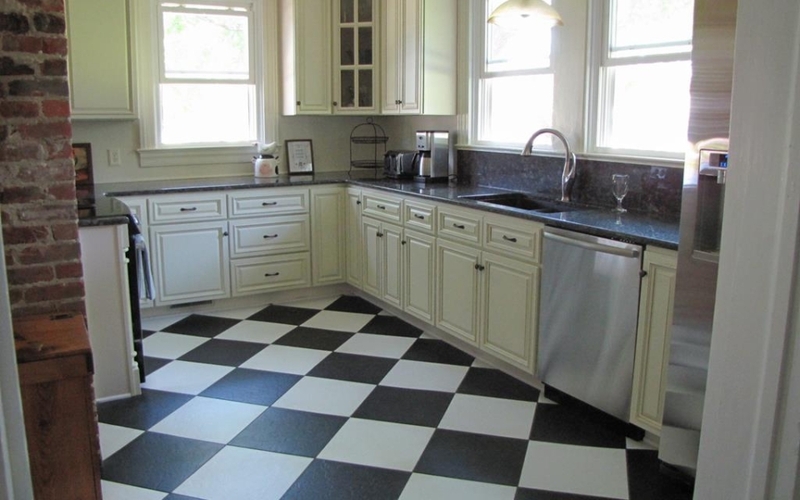 One of the most rewarding updates in a home is a kitchen renovation. 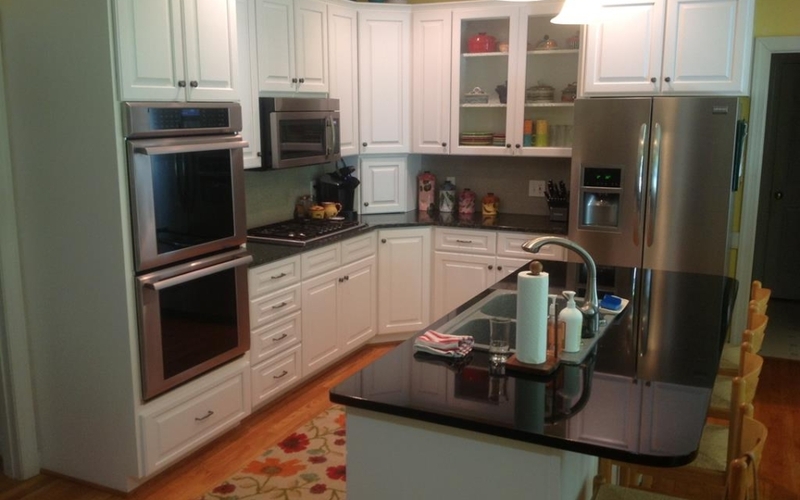 The return on investment is extremely high especially with an economical cabinet refacing project. As long as the cabinet boxes are in good shape and there isn’t much reconfiguration needed this can be very successful.The best outcomes are with lacquer paint finished cabinets. The personnel that are part of this process are experienced in furniture refinishing. Blue Ribbon takes several different approaches to this process depending on the desired outcome. In addition to the outlines below other items can be added: new drawer boxes with soft close runners, new counters, tile backsplashes, under cabinet lighting, updated general room lighting, and new flooring. Sand and refinish the existing cabinets, doors, and drawer fronts – Normally done if the style of the kitchen does not change. We will remove the doors and drawer fronts and spray them in a dust controlled shop setting. The kitchen is tented off with an exhaust fan (to control odor) and the cabinet boxes are sprayed in place. Once the finishes are dry the doors and drawer fronts are reinstalled with new hardware. Sand and refinish the existing cabinets with NEW doors and drawer fronts – If a client wants to totally change the look of their kitchen this is a very good approach. The new doors and drawer fronts are ordered from Conestoga Wood Products (a NC company) prefinished. The kitchen is tented off with an exhaust fan (to control odor) and the cabinet boxes are sprayed in place. Once the finishes are dry the new doors and drawer fronts are installed with new hardware. Sand, refinish the existing cabinets with NEW doors and drawer fronts AND make some tweaks to the layout (add or modify a cabinet) – If a client wants to totally change the look of their kitchen and improve the functionality this is a way to make those changes. The new doors and drawer fronts and additional cabinets are ordered from Conestoga Wood Products (a NC company) prefinished. The existing cabinets are modified, kitchen is tented off with an exhaust fan (to control odor) and the cabinet boxes are sprayed in place. Once the finishes are dry the new doors, drawer fronts and cabinets are installed with new hardware. More extensive work than this pushes the project into a full blown kitchen remodel with full cabinet replacement where the budget is generally the only limit on the project.